Today is my favorite brother's birthday. See... look... at one point he even had a shirt that said so (I think I even bought it for him). He also has shirts that say things like "I'm really excited to be here" and he wears them places like Disney Animal Kingdom. I don't have a photo... but one Thanksgiving my brother sat next to my grandmother wearing a t-shirt that said "cunning linguist" on it. I nearly peed my pants laughing... but couldn't tell anyone why. Trying to figure out which pants to wear today...fancy or smarty.How the hell did Charles Manson get like 16 people to murder for him? I can’t even get two kids to brush their teeth.I found $40 in my jeans. The kid in me says "Buy dart guns and candy", but the adult in me says "Buy vodka, dart guns and candy".I wonder if I’ll ever be mature enough to use a stud finder without first pointing it at myself and saying, “There’s one.”I'm playing hide and seek with the kids right now and they'll never find me, because they aren't old enough to drive or get into this bar. That last one... might be my favorite of all time. He's the uncle that gives the kids the messy melty popsicles and still smiles when they end up all over his shirt. He's the dad of 3 girls who checks out all of their toys to make sure they're safe. 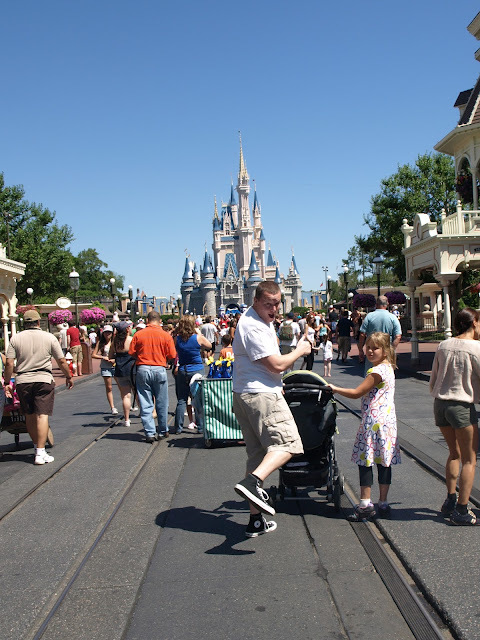 He's not opposed to skipping down Main Street. He's the guy that makes sure family photos are a major success. Yep... my brother Jim... awesome. You all wish you had a brother as awesome as mine. And now... I just really want to share the birthday card that I found for Jim. I saw it and KNEW it was meant for him. No one could possible get as much joy and happiness from this card as I know Jim will (except maybe me... I'm surprised he's getting it with a still working battery). Happy Birthday Jim!!!! I love you!! !